The Louisville Western Branch Library in Louisville, Kentucky, first opened in 1905. This library was the first public library in the nation to serve and be fully operated by black residents. In 1905 virtually all other public libraries around the country were closed to African Americans. In 1902 the Louisville City Council passed an ordinance that created a public library system, but it specifically excluded African American residents. The city’s black residents immediately challenged this exclusion. 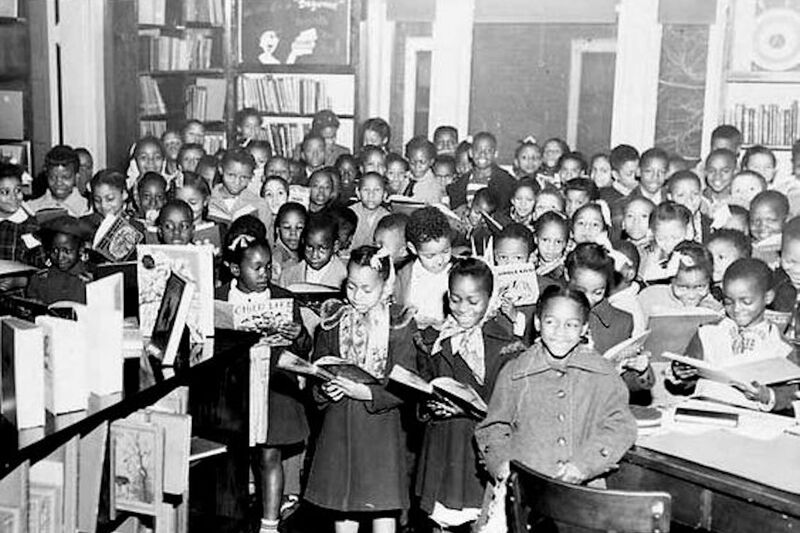 Albert E. Meyzeek, local educator and civil rights activist, urged the community as well as the city’s library committee to allow the black citizens of the community to be able to access and use the new library system. By the time the library system was about to open in 1904, the city’s library system master plan now indicated that there would be a branch for African American citizens, fully funded by philanthropist Andrew Carnegie.